When readers ask about my book, Unsinkable: The Molly Brown Story, a question often arises. Why write about the person we know as Molly Brown? What new material or information could arise about this famous character from Colorado? Much has been written about Margaret “Molly” Brown based on legend and myth. Her life was full of adventure and activism far beyond her role as a survivor of the Titanic disaster. Her many quotations bring her character stridently to life. My book, appropriate for all ages, is the first of its kind to present a nonfiction biography about the character. Maregaret Tobin Brown is the name of the person often known as Molly Brown. As a youngster, census records listed her as Maggie. Her name became Margaret as an adult, and Mrs. J. J. Brown after she married. The name, Molly, does not appear in her lifetime. Many people believe the name “Molly” was adopted for the 1960s Broadway musical production of “The Unsinkable Molly Brown,” then the feature film of the same name. 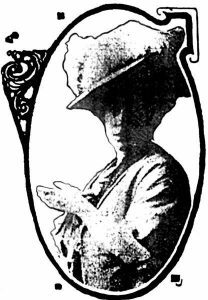 However, the name “Molly” was used to refer to her in a 1932 newspaper obituary, a loose reference to her Irish family background. As is often the case, Margret Brown’s Unsinkable story caught my attention by accident. 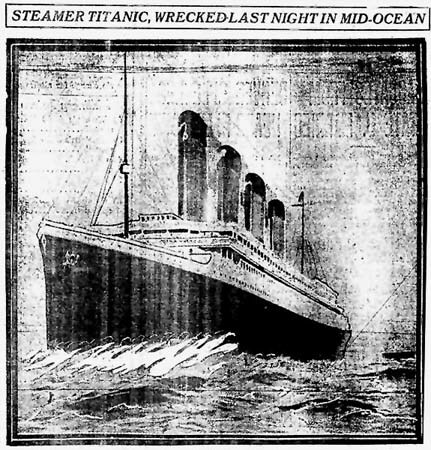 While I was at the library researching Denver newspaper articles on microfilm about passenger lists, I stumbled across accounts of the April 1912 Titanic disaster. They contained lists of survivors as well as casualties of the steamship’s collision with an iceberg and its terrible demise in the icy North Atlantic Ocean. Additional articles contained accounts of the Titanic disaster by a Denver survivor of the tragedy, Margaret Brown. The descriptions were extensive and eloquent. Much later, I discovered the reason for the interviews. Mrs. Brown was not invited to share her testimony with a Congressional hearing about the steamship’s demise. Mrs. Brown, hurt and angered by the exclusion, had a story to tell and she knew what to do. She offered her story to Denver newspaper reporters, who eagerly snapped up her account. When the article was printed, she became known as “Lady Margaret, Heroine of the Titanic”. Someone said, ‘Women first, quick!’ and I was literally thrown into a lifeboat and lowered to the foaming ocean. Just as the Carpathia (rescue ship) swung alongside of us, I lost my remaining strength and fell exhausted. Two hours after that I was in the shop’s hospital, nursing the hysterical. Don’t ask me how I did it – I don’t know myself. Here in this gloomy room I have been three days and nights, working with every bit of strength in my body. Margaret Brown survived and lived out the remaining two decades of her life. Characteristically, hers was a life full of activism, altruism and adventure. After tending to the survivors of the Titanic, forming a survivor’s association, planning a monument to victims, and presenting honors to the rescuers, she moved on to help people in many situations and to support issues she considered worthy and important.